What are you doing July 22 - 24? How about attending the Direct Gardening Association Summer Conference in Burlington (click here please)? I'll be giving a keynote on Wednesday, July 24 at 10:30am titled "How Demographics Are Impacting The Future Of Marketing". 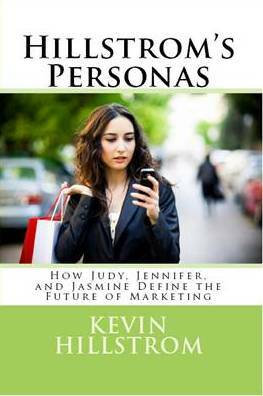 In other words, the talk builds upon the concepts of Judy / Jennifer / Jasmine that are outlined in our Personas book from April 2012 (click here to purchase on Amazon). Oh, I know. The popular topics out there are mobile, multi-channel, omni-channel. But every topic that's trendy right now is fueled by demographics ... mobile doesn't work with Judy ... catalogs don't work with Jasmine ... and Jennifer is tethered to Amazon. Know your demographics, and you'll know the path to the most profitable future you can achieve. There's plenty of profit to be had marketing to Judy, or Jennifer, or Jasmine. Come join us! What's not to like about Vermont in July? And by the way ... since I'll be in New England that week ... why not reserve time to meet with me? In recent years, I've made a pilgrimage to New England ... the slots fill up terribly fast, so please reserve your slot early, ok? (click here to email me).